Simon Jones is an artist and scholar. He founded Bodies in Flight (UK) in 1990 and has subsequently co-directed and written the text for 17 performance works which have toured nationally and internationally, including collaborations with artist Caroline Rye and Singapore-based Spell#7. These have at their heart the encounter between flesh and text, where words move and flesh utters. Alongside writing for performance, Simon has been interested in how performance can be documented and represented after the fact, leading to the innovative use of CD-ROM technology to archive Bodies in Flight’s work up to 2000, as well as more recent project that have concerned themselves with the preservation and dissemination of performance archives online. He has been visiting artist at The School of the Art Institute of Chicago (USA) and Banff Arts Centre (Canada), as well as a visiting scholar at Amsterdam University. 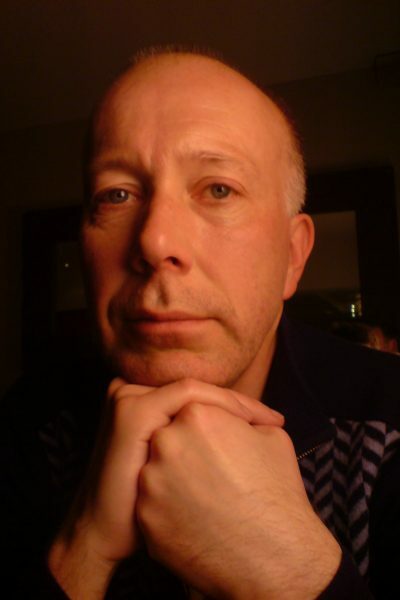 He has published in Contemporary Theatre Review, Liveartmagazine, The Cambridge History of British Theatre, Performance Research: on Beckett, co-edited Practice as Research in Performance and Screen (Palgrave Macmillan 2009) and most recently Artists in the Archive (Routledge 2018). His work with Bodies in Flight features in Josephine Machon’s (Syn)aesthetics? Towards a Definition of Visceral Performance (Palgrave Macmillan 2009). Outside of his work with Bodies in Flight, he is currently collaborating with composer Michael Ellison on two new operas, the first of which was premiered at the Istanbul International Festival in 2016.